THE SECONDARY SHOCKS. The destruction that a large earthquake can cause often doesn’t end when the ground stops shaking. Many produce aftershocks, smaller tremors hours or even days later caused by the ground’s reaction to the first quake. These aftershocks can sometimes cause more damage than the primary quake. And though we can usually predict the size of an aftershock, we haven’t been so great at predicting its location. Now, that could change. Researchers from Harvard University and Google’s AI division have created a neural network that can assess how likely it is that a particular location will experience an aftershock. The best part? It’s more accurate than the best existing model. They published their study Wednesday in the journal Nature. BARELY BETTER THAN A COIN FLIP. The best tool we have right now for predicting aftershocks is a model known as Coulomb failure stress change. Researchers can calculate the geological stress an earthquake places on surrounding rock and then use the model to determine the likelihood a location will experience an aftershock. Unfortunately, this model is only slightly more accurate than flipping a coin. AI TO THE RESCUE. 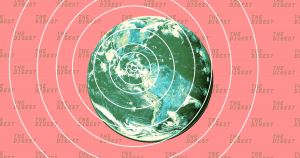 To better predict the location of aftershocks, the team turned to AI. First, they fed data on 131,000 mainshock and aftershock earthquakes into a neural network, which they designed to produce a grid of 5 kilometer-by-5 kilometer cells around the site of each mainshock. Next, they fed the neural network data showing how the mainshock changed the stress level at the center of each surrounding cell. The neural network then predicted the likelihood that each cell would be the site of an aftershock. The researchers tested their neural network on 30,000 mainshock-aftershock events and found that it could predict the site of aftershocks much more accurately than the previously used model. MORE TO COME. Though the algorithm’s predictions aren’t foolproof, the researchers are pleased with their AI so far and think even more accurate systems could be just on the horizon.